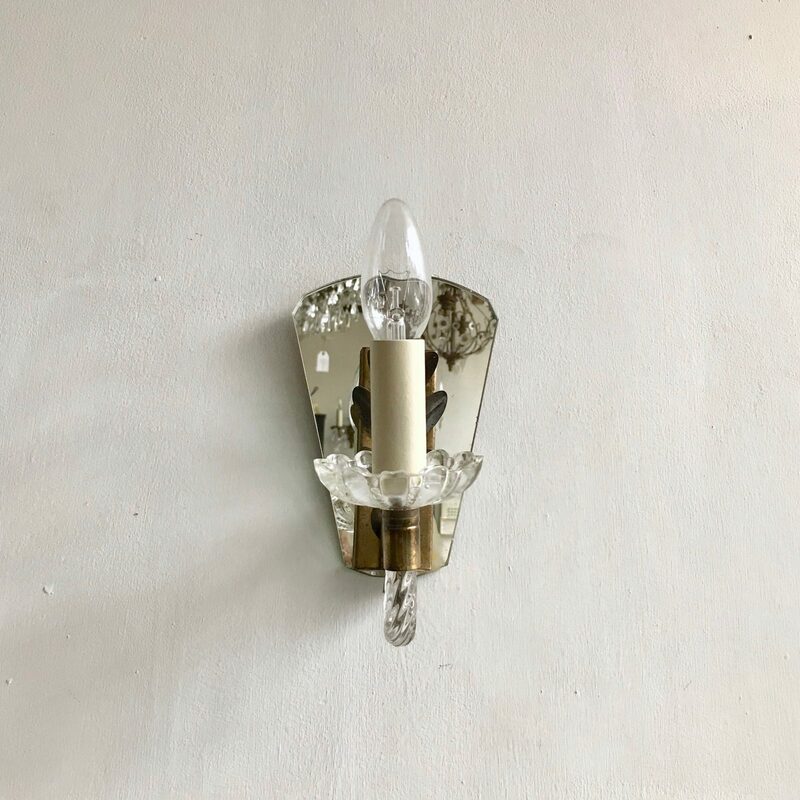 A pair of single Art Deco wall lights. Each with a mirrored back plate with a brass leaf detail and a crystal swan neck arm that holds the lamp. The wall lights have been restored and rewired. Each needing a single SES lamp.